This fully illustrated fable attempts to draw parallels between human and animal behaviour that children can readily appreciate. 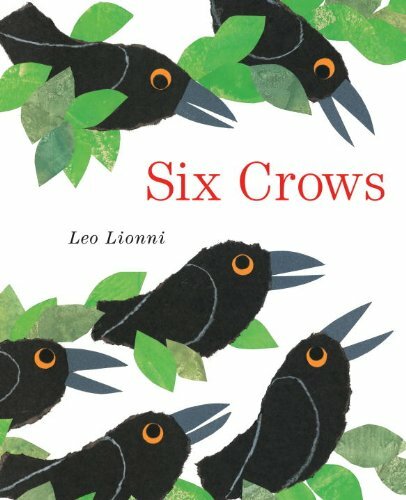 It is the story of a farmer who builds a scarecrow to scare six hungry crows away from his field of wheat, however the ingenious crows prove that they are not easily frightened. Leo Lionni has also written "Nicolas", "Where Have You Been? ", "Frederick", "Frederick's Tales" and "Cornelius". He is the recipient of the 1984 American Institute of Graphic Arts Gold Medal and is a four-time Caldecott Honour Book winner.